Autumn (or fall depending on what you call it) is my favorite time of year. 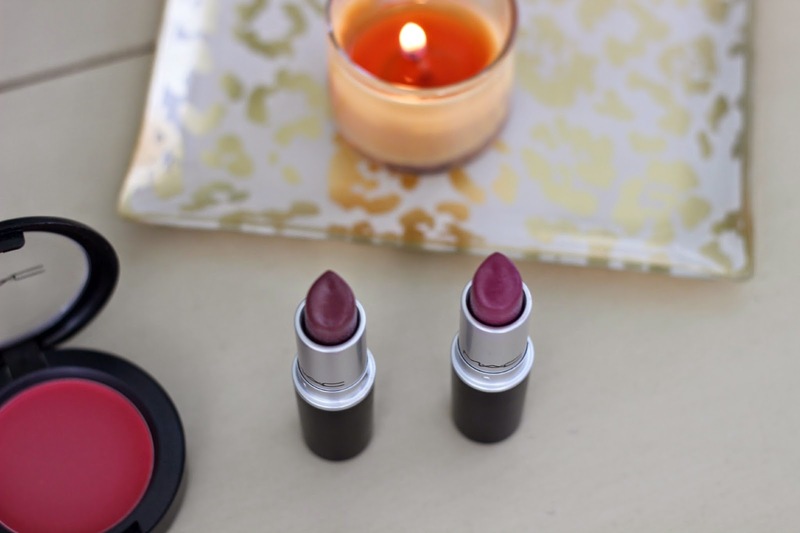 I love cooler weather, layering outfits, spicy candles, delicious foods and of course berry hued makeup. Although I have many favorite makeup items for this time of the year, I tend to use these select products most. 1. 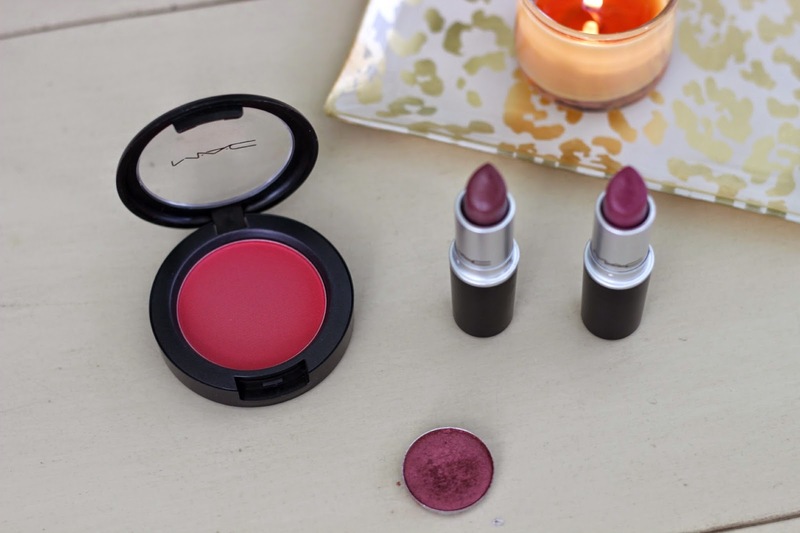 MAC Frankly Scarlett - more red toned than berry and highly pigmented. The smallest bit goes a long way. It works great with other berry toned products and doesn't look over the top. 2. 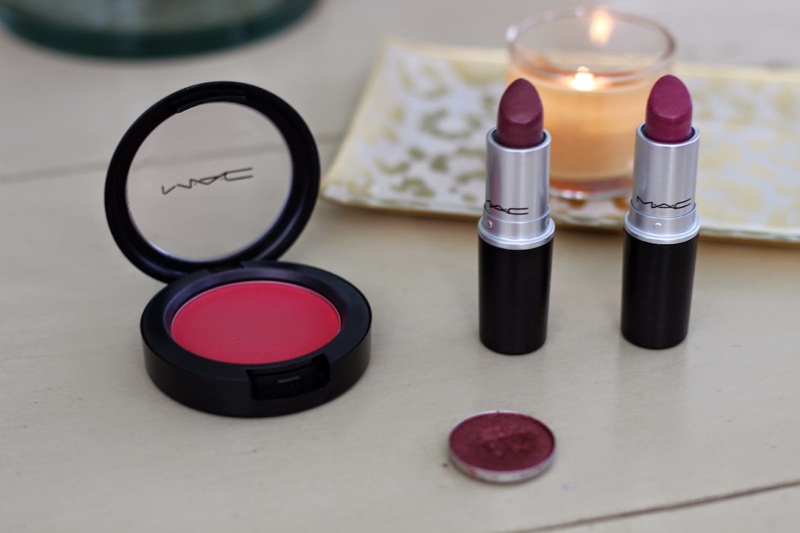 MAC Cranberry - the best berry/red toned eyeshadow ever. I tend to sweep this all over the lid, add the tiniest bit of a light, light brown to a blending brush and blend the edges until there is no visibly eyeshadow line. A great way to change up the brown/bronze eye look I usually go for. 3. MAC Capricious - when I don't want a full on berry lip, but still want the dark fall look, I reach for this lipstick as it is more muted than most autumn shades. As with all MAC lipsticks, the formula is really good and can either be dapped on for a subtle look or swept over the lips for something more dramatic. 4. MAC Plumful - a purchase influenced by Essiebutton and Lily Pebbles. This is my favorite MAC shade - tied with syrup - and I wear it a ton. 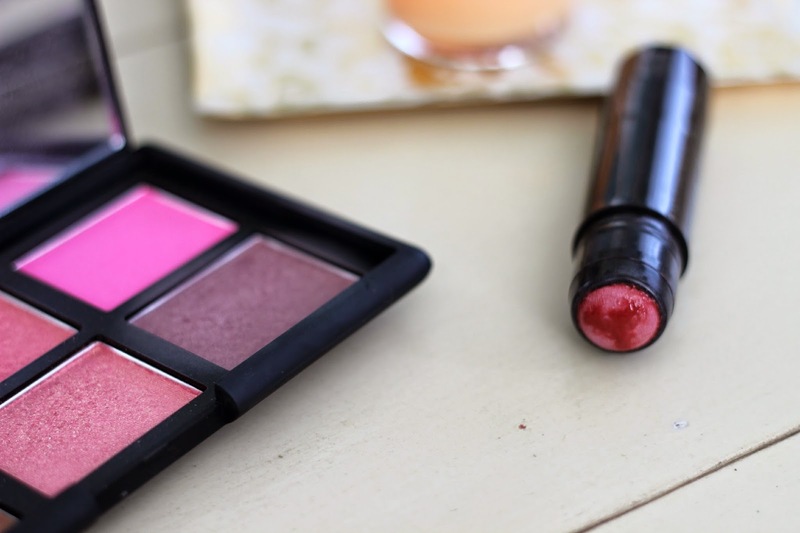 The pinkness in the lipstick makes this berry shade extremely wearable especially during the day. 5. NARS Sin - i can't believe I haven't hit pan on this blush, in fact it barely looks used. But I swear it is my favorite blush of all time. At first the berry/shimmery color looks off putting, but it is a great sheer, but build-able color, that gets rid of the dreaded dull look. 6. Hourglass Aura Sheer Cheek Stain - the only berry stain I have, which I reserve days when I have a few extra minutes to apply my makeup. The product itself is high quality, pigmented and lasts for quite a few hours.